I never liked the old logo with its very awkward line break on Amer-ican and changing font sizes on each line. The colors and font choice were weird. 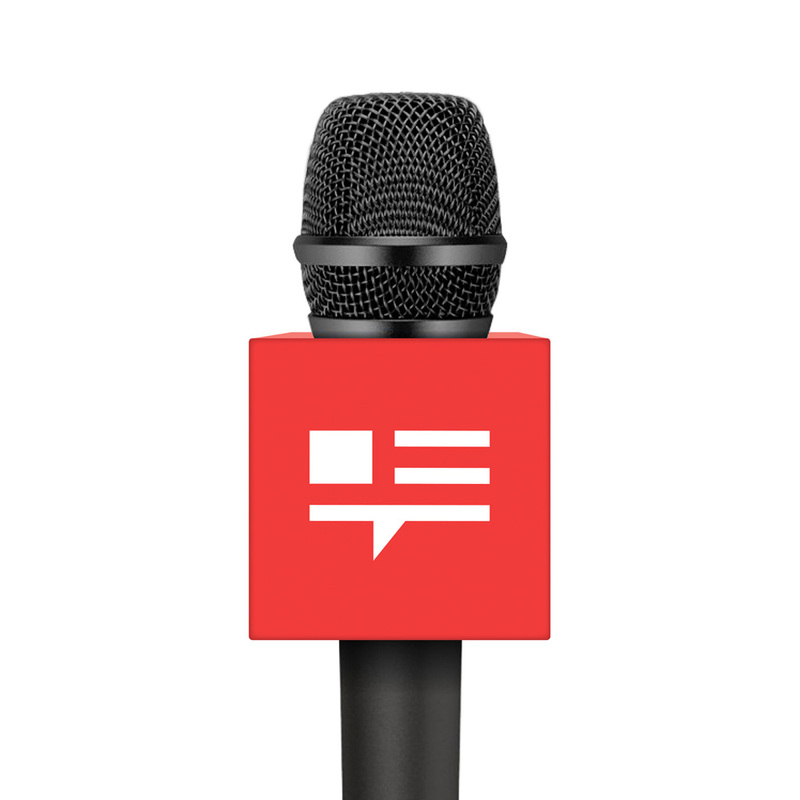 The new logo is so much better, introducing an American-flag-speech-bubble icon that is evocative of the name of the show and the nature of the show (lots of talking). It’s minimal, it’s crisp, and it’s easy to repeat on every possible application. The wordmark looks stately and journalistic, typeset in Hoefler & Co.’s Mercury. I’m surprised the website — which also got a redesign — is typeset in a very similar serif that is not Mercury — it would have been nice for the website to support the logo instead of slightly challenging it with an almost-the-same typeface. All around, a lovely improvement though. Thanks to Katie Riffle for the tip. (Est. 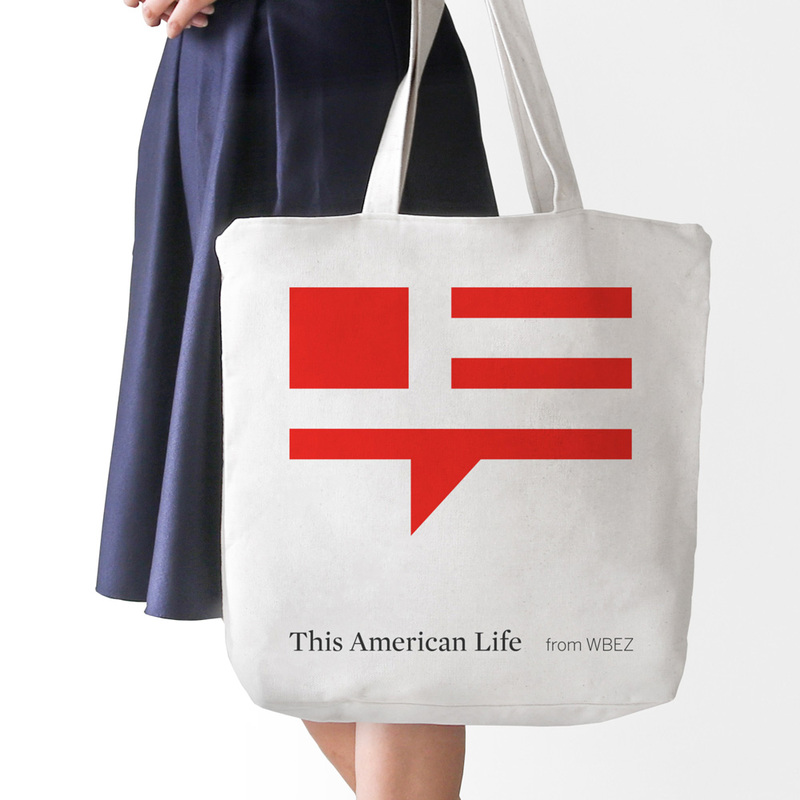 1995) \"This American Life is a weekly public radio program and podcast. Each week we choose a theme and put together different kinds of stories on that theme. Our show is heard by 2.2 million listeners each week on over 500 public radio stations in the U.S., with another 2.5 million people downloading each episode as a podcast. We're usually one of the five top podcasts on iTunes. We're also heard in Ireland and Germany, and all across Canada and Australia. Our show is produced in collaboration with WBEZ Chicago and delivered to stations by PRX, Public Radio Exchange.\"